Boehringer Ingelheim Animal Health New Zealand Trading name of Merial New Zealand Limited kicked of the spring flea season with three chances to win a Jet Ski, Spa Pool or Outdoor Furniture. 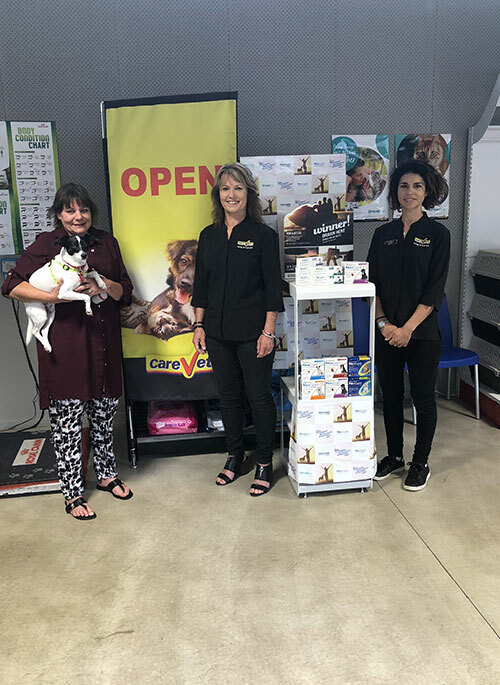 Boehringer Ingelheim Animal Health New Zealand Trading name of Merial New Zealand Limited kicked of the spring flea season with three chances to win a Jet Ski, Spa Pool or Outdoor Furniture. To qualify all you had to do is purchase any 3 or 6 pack of FRONTLINE® Plus, NEXGARD® Chewables, NEXGARD SPECTRA® or BROADLINE® spot-on solution for cats and you were able to go into the draw to win! Three prizes were up for grabs all worth $15K RRP each! Anna Rose Lilley was one of our lucky winners from CareVets Pokeno!